The all-new Next Gen PLUGR 25-in. 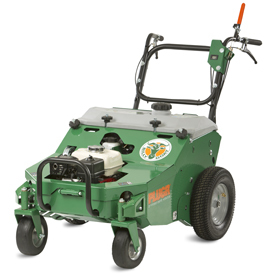 Hydro-Drive Aerator from Billy Goat offers the next level of aeration productivity with up to 42,550 sq. ft. of aeration per hour in a single pass and an estimated 30+ percent greater return vs. traditional drum aerators. Watch this video to see the PLUGR 25-in. Hydro-Drive Aerator in action.